Attorneys are often pressed into service to speak to reporters about their client’s case. Doing so can be a fruitful opportunity for the lawyer to support the legal strategy by setting the record straight on behalf of the client and to communicate with his or her intended audiences. However, it’s a dangerous proposition if the lawyer doesn’t understand the media ground rules. Before engaging any reporters the lawyer spokesperson must understand the difference between “on the record” and “off the record” and everything in between. Here’s a rundown of the ground rules for speaking with reporters. Is this on the record? 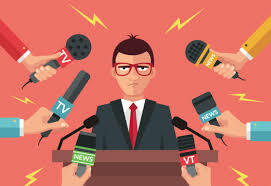 On the record – Everything said to a reporter is just that, “on the record.” The reporter is free to report everything said with direct attribution to the lawyer spokesperson. This is the most desired situation for the reporter because he or she can substantiate their reporting with direct quotes. Additionally, most editors and publishers are demanding on record quotes because they make a far more credible news stories. In this day of so called “fake news,” the media are fighting to protect their authority as a trusted source of news resulting in greater transparency. These basic journalism rules are important to understanding how to best navigate an interview. 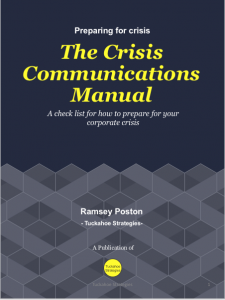 For more information about how to manage communications during a crisis click the button below. Lawyers often live in fear that the legal strategy will be sunk as a result of something that is said in the media. It’s a reasonable fear if there is no coordinated communications strategy. This is what often leads to those corporate quotes that read, “we don’t comment on pending litigation.” Such a statement is no better than “no comment” which is practically like saying “I’m guilty,” at least that’s how it’s often heard by some audiences. Some lawyers and executives consider the “no comment” option the safe option. Perhaps, but what message does it send to the company’s key stakeholders? A company that doesn’t defend itself in the media could quickly lose support from within. An information vacuum can lead to internal panic, loss of market share and an overall tarnished reputation. Media savvy lawyers, however, understand a good communications plan can provide “air cover” for high profile litigation as well as protect the company’s brand long after the legal process is completed. As laid out in our litigation communications manual, a strategic communications plan, executed properly, reaches jurors, judges and regulators with precisely the right message to advance the case. Reaching these audiences can be a benefit on the legal front, after all, these audiences read and watch the news like anyone else. Beyond the legal realm, consistent communications can bring clarity and help calm fears for other vital audiences.Those audiences include employees, customers, shareholders, vendors and partners. They are the key audiences that make a brand successful. It’s important to communicate with them and control the message. If left in the dark, audiences tend to speculate and that’s where negative online chatter and rumors begin. Consistent messaging, in-sync with the legal strategy, delivered through traditional media and social media can help change the tide of public perception. For companies that have endured negative media coverage leading up to litigation or from a crisis, a sound communicaitons plan can also help it pivot from being on defense to offense. Lawyers who appreciate the power of the media also know that web searches are forever, which is why a brand, organization, or executive embroiled in high profile litigation should launch a smart media plan. Once the dust settles it will be important that when the client is “Googled” that readers will find information conveying their side of the story. If stories pushed out as part of a media plan are picked up by highly ranked publications, then the client’s best messages should be well represented on the first page of a Google search. That’s good for the overall brand. Regardless of what happens in court, a good strategic communications plan will most certainly position the client in a more favorable light than those who go with the “no comment” approach. For more information download our Litigations Communications Best Practices. Part three in a three-part series focusing on communications challenges for brands, advocacy organizations and educational institutions amidst a Trump Administration. Colleges and universities were faced with immediate reaction from the surprising election night victory by Donald Trump. Students gathered on campuses across the country to peacefully protest. But, not all protests were peaceful as some protesters spilled into the streets with chants of “Not My President and “No Racist USA.” In some locations police arrived in riot gear to maintain order. University presidents made statements to their student bodies primarily by way of email, calling for calm, understanding, and acceptance. Within a couple of days, the demonstrations dissipated and students got back to class. However, there might be more to come. President-elect Trump has shown no signs of slowing down on his inflammatory rhetoric that mobilized supporters and angered opponents. Like the rest of the nation, the student population is politically divided, and the divide could spell trouble for college administrators for years to come. To manage protests following Election Day, several college administrators created a number of events in an attempt to pacify students. Those events included activities such as “post election recovery meetings.” Some offered “arts and crafts” gatherings, while one university provided therapy to calm frayed nerves. In the 1960s, college campuses were hotbeds for political protests but students were mostly unified in protesting the war in Vietnam and in support of civil rights. As Trump takes office, college administrators need to have a plan to manage ongoing angst on campus and the potential for intra-student conflicts. If Trump makes good on his campaign pledges, then school administrators should brace for what could be unprecedented campus conflict. Envision implementation of his immigration plan that could single out or deport students and their families; imagine the backlash if abortion is outlawed in certain states and if that includes “punishment” for women as he suggested; and think about if Trump continues his rhetoric on the Second Amendment. Any (perhaps all) of these scenarios present the potential for significant issues on campus that could adversely affect students’ ability to receive a high-quality education and potentially damage the reputation of the school for years to come. Colleges should be working now on strategic communications plans to manage Trump-related contingencies. Those strategic plans should include steps to further engage with students, regular student meetings to monitor the student body pulse, and specific messages to address key issue areas, including immigration, abortion, health care and guns. Social media channels should be used to not only push messages and monitor the tone and volume of discussions taking place on campus, but to engage with students. This is an element missed all too often. Social media engagement promotes better dialogue and powerful information-sharing. Protocols should be established to monitor campus incidents and a plan should detail specifically when action is required. Strategic plans should answer the following questions in advance: When should we tweet? What should we say? When should the president get involved? When is a statement necessary? Another important step is to coordinate with local media to ensure they know who to contact if or when a serious incident occurs. The communications team should also coordinate with the public outreach personnel for local, state and federal law enforcement agencies so that ground rules are established and lines of communication are open. The coming years might test the ability of colleges and universities to maintain order on campus. Those with well-developed communications strategies will have a better chance at mitigating – or even avoiding – crises. These strategies and tactics might also assist with promoting compassion and unity among students, faculty and staff, and the community. Part two in a three-part series focusing on communications challenges for brands, advocacy organizations, and educational institutions during the Trump Administration. The only certainty of a Trump Administration is uncertainty. During the Republican primary campaign, one of Donald Trump’s opponents characterized him as the “chaos candidate.” Those who cannot become adept at functioning amidst chaos will be penalized during a Trump Administration. During the presidential campaign, Donald Trump railed against the establishment and policies he vowed to radically change. Immigration – build a wall. Abortion – punish women. Climate change – a hoax. Affordable Care Act – repeal it. Trade agreements – renegotiate. Many advocacy organizations rely on federal funding that Trump and the Republican controlled congress can affect. For liberal organizations, such as those, which promote reproductive rights, environmental stewardship, and fair and humane immigration policies, it is critical to be on alert as these are areas about which candidate Trump was very vocal. Following Trump’s stunning Election Day victory, DC’s advocacy organizations quickly huddled among themselves to figure out what a Trump Administration means to their causes. Many groups are scrambling to understand the new world order. Meanwhile, some leaders emerged with a brave face. Some privately rationalized that it would be “okay” and that Trump would moderate his stances. Then Trump began announcing his cabinet picks. One-by-one the news hit harder and harder for defenders of key social issues. Moderation simply is not a word associated with Trump. His cabinet picks doubled-down on his campaign rhetoric. Senator Jeff Sessions – Attorney General – is a conservative U.S. Senator from Alabama. Sessions has pledged to overhaul immigration. He was previously denied confirmation for a federal judgeship in 1986 – by a Republican-led Senate – because of racially charged comments he made. Tom Price – Secretary, Health and Human Services – is a republican member of congress from Georgia and a surgeon who has led opposition to the Affordable Care Act. He wants to repeal the law and replace it with a plan that favors private health insurance companies. He introduced legislation that would deny government funding to health care plans that cover abortion. He is also in favor of privatizing Medicare. Betsy DeVos – Secretary, Education – is a billionaire education activist who is a staunch proponent of vouchers under the “school choice” slogan. The idea diverts tens of millions of federal dollars to private schools. Scott Pruitt – Administrator, Environmental Protection Agency – Oklahoma’s attorney general and staunch opponent of EPA’s major initiatives such as the Clean Power Plan and the Clean Air Act. Organizations are now forced to pivot from “promoting change and moving forward” to a considerably more defensive position of “defending the status quo.” For many advocacy organizations, there is still so much progress to be made but that must now be put on hold. Success should now be based on not losing ground. Defending ground is not as appealing as moving forward, but make no mistake, a Trump Administration will usher in sweeping changes. Women could be denied medical procedures like abortion; our working immigrant population could be decimated; public education could be gutted; and, health care could be placed back in the hands of the insurance companies and private markets. The negative outcomes of these dramatic policy shifts could include: an increase in suicides and imprisonments in the case of abortion rights; a loss of production in valuable sectors such as construction, food production, hospitality, as a result of immigration reform; implosion of the public education system as we know it; and, a return to uncared for patients, unaffordable medical procedures, and soaring costs to individuals if the health care law is repealed. The “stand-and-fight” positioning is the only logical approach. In light of the prevailing policy headwinds, advocacy leaders must now reconsider plans to advance their agendas. Now is the time to dig in and protect the progress that has been made over recent years. The goal now must be to defend the land you have. This shift requires a strategic communications approach that must accomplish three things: first, advocacy groups must remind their members and donor bases of their successes accomplished over time; second, the strategy should outline the realities and possible consequences that are possible as the result of the new administration; and, third, it will be critical to create a specific action plan that can be concisely and compellingly communicated to stakeholders. It’s a mistake to simply use the Trump threat as a fundraising tool. Organizations should be prepared to empty the “rainy day fund” to get their message out. This includes, for example, a significant bump in online advertising; creation of meaningful events that attract major media coverage; and, elevation of media relations to ensure there exists a nationwide network of spokespeople that can effectively advance the message. Conservative organizations, too, need to be on alert and proceed with caution as Trump has proven to be unpredictable, at best. Many of the issues cited above are traditionally associated with progressive groups however, conservative groups can be negatively affected by a rollback of current policies. These shared interests presents the opportunity for coalitions of “strange bedfellows,” between progressive and conservative groups working together to defend the same ground. For example, not all business organizations traditionally associated with conservative values are excited about the prospect of a massive drop in the workforce that is likely with the approach to immigration reform that President-elect Trump has espoused. Similarly, many industries desperately need predictability in public policy. It’s difficult to enter into contracts and agreements that often span decades when you don’t know what the playing field will look like just four or eight years from now. Broad coalitions could be built on immigration, trade, climate change, and other issues that benefit both progressive and conservative organizations. The most effective coalitions are the ones that represent the broadest number of people. Donald Trump will be inaugurated as President of the United States on January 20, 2017. Organizations that take a “wait and see” approach will be making a mistake. Now is the time to dig-in and take action to defend the progress that has been made. Part three, will focus on how colleges and universities can managing campus unrest in the Trump world. Part one in a three part series focusing on communications challenges for brands, advocacy organizations and educational institutions. The 2016 presidential campaign and the subsequent election of Donald Trump has generated intense emotions and debate. President-elect Trump has personally fanned that intensity with provocative statements and tweets. He has attacked the character of his opponents, members of the media, war heroes, celebrities, and private citizens. He has passionately taken stands on social issues important to many Americans (and others throughout the world) including immigration, abortion, trade, the First Amendment, and the Second Amendment, to name a few. In short, it is nearly impossible for individuals not to be somehow affected by Trump’s words. We live in a highly charged environment where Trump’s statements or proposed policies can have an impact on the bottom line and/or on a company’s customers. If you are a brand manager you are perhaps in the most dangerous of waters. Anything that is said on behalf of a brand in connection to Trump or his proposed policies could put the brand and the company in the crosshairs of controversy. Take U.S. shoe maker New Balance for example. In an interview with the Wall Street Journal, the company’s VP of public affairs told the reporter that “things are going to move in the right direction” under a Trump Administration. Without any context, this statement would seem to indicate a wholesale endorsement of Donald Trump. The reality is that this comment was made in response to a very specific question about the Trans-Pacific Partnership (TPP), a controversial free trade pact, which the company opposes. What happened next threw the shoe company into a public relations nightmare. An influential neo-Nazi blogger declared New Balance the “official shoes of white people” causing emotions to flare on both sides. Trump supporters cheered the statement, while Trump detractors called for a boycott of the company’s products. New Balance made a concerted effort to manage the crisis. In a statement, it pointed out that the comment was taken out of context and then recited its commitment to manufacturing in the United States. The lesson here is that brand managers must be exceptionally careful about what positions they take and how they are presented. We live in a 50-50 country with a citizens’ emotions’ frayed after the last election. The current counting of the popular vote shows that Hillary Clinton received 48% of the vote versus 46% for Trump. That’s an even split for brand managers. 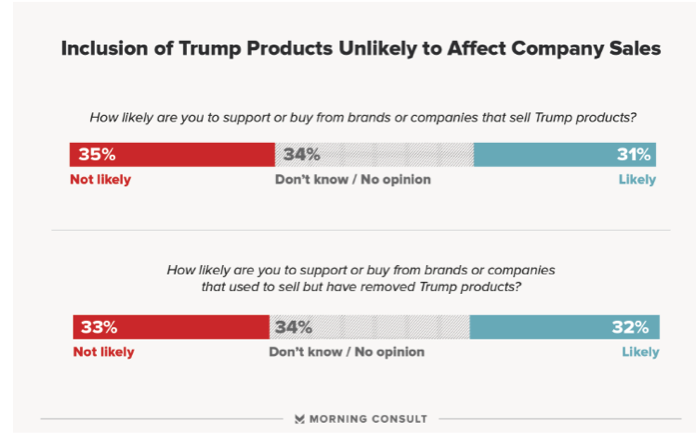 Morning Consult recently published a survey that underscores how consumers, like voters, are divided. 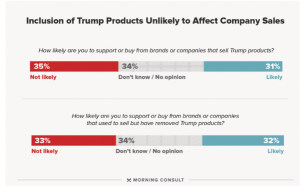 Its poll found a near equal split of respondents who say they are more likely to shop at a store because it sells Trump products (31%) compared to 35% who say they are less likely to shop there for the same reason with 34% undecided. If you split the undecideds in half and apply them equally to the each side the result are 52% to 48% closely matching the overall popular vote. Most brand managers are not interested in excluding 50% of the market. Brand managers must keep focused solely on their core products. Several years ago basketball star and shoe pitchman, Michael Jordan, refused to weigh in on a senatorial race in his home state of North Carolina, making the point that “Republicans buy shoes too.” He was right then and brand managers should now take steps to follow his lead. Perhaps more important, brand managers must be prepared to rapidly respond when their brand is dragged into the political muck like New Balance. Since the election, there have been at least three pro-Trump outbursts caught on video that have gone viral including, in a Starbucks, a Michael’s craft store, and on a Delta Airlines’ flight. In each instance the company issued a statement of inclusion and support of equality. Delta went farther; the man caught on video disrupting a flight with a pro-Trump outburst has been banned for life from flying on the airline and provided refunds for the cost of the ticket to the other passengers. Brands should have a “Trump factor” strategy as part of its overall crisis response plan. This plan should include: 1) internal communications to employees reminding them of the company’s mission and the dangers of stepping into the political divide; 2) greater focus on monitoring social media accounts and media mentions to quickly identify potential issues; and, 3) a strategic plan with specific action steps to take once an issue is identified. The current political climate will present problems for brand managers. Americans are wearing their politics on their sleeves. A step in the wrong direction by a brand representative could boil over and end up the subject of a boycott. Planning ahead will help brands avoid major problems. Educate and train all your brand representatives to identify and manage issues before they gain momentum. Part two will focus on how advocacy organizations can succeed during a Trump Administration. 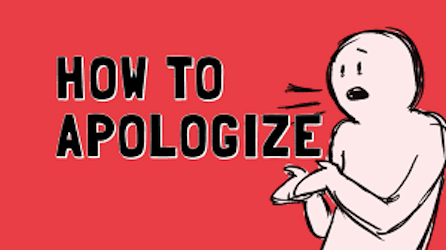 Ryan Lochte’s attempt at an apology for lying about being robbed at gunpoint was no apology at all. Instead it was more subterfuge that suggests a gaping hole in his character, it demonstrates an undeniable level of cowardice. We live in a pretty forgiving society. Everyone makes mistakes. We pay the price, hopefully learn from it, and move on. 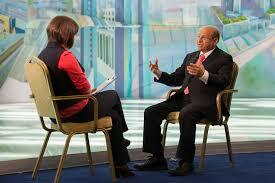 When it comes to strategic communications in times of crisis, the idea to alleviate the problem. Lochte’s statement has exacerbated the issue. The non-apology issued by Lochte suggests that he thinks the gold hanging from his neck exonerates him from his frat-boy behavior. It also suggests that he is alone or perhaps just surrounded by people who see no future for the swimmer (how else to explain that attempt at an apology?). Olympians occupy a special place in sports – more than representing a team or themselves or sponsors, they represent their country. The rampaging of a gas station bathroom by Lochte and other American swimmers reflects poorly on all Americans. Their actions are the embodiment of the Ugly Americans. Not only did the swimmers vandalize a small business owner, they then attempted use Brazil’s reputation for crime as a getaway scheme and position themselves as the victims. Lochte and Co. need to sincerely apologize. No more statements. They should meet with the media to explain exactly what happened and express their heartfelt regret for their actions. This is their chance as Americans to show the world they not only made a mistake but they are willing to completely own up to it. At this point, few people really care about the swimmer’s reputations or what happens to them — they need to do the right thing on behalf of their country. It’s an opportunity to show the world that they are winners and not cowards. Lochte has played second fiddle to Michael Phelps his entire career. Phelps was able to successfully rally back from a career threatening mistake. He owned his errors and seems to have become a better person for having endured. Lochte has the chance to again follow in Phelps footsteps. We will if he is man enough to do so.